Built on Billabong heritage, the Breakdown forgoes structure in favor of legacy logos. The flat brim trucker hat features an unstructured design, topped with a logo patch at the front panel. 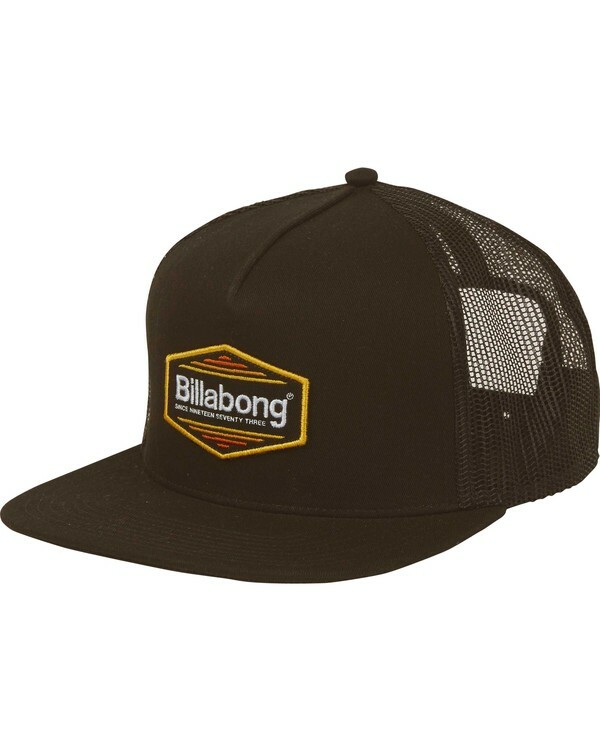 Billabong logo patch at front.